Download WeHunt from the App Store or Google Play, create an account in the app and sign in! To start using WeHunt costs nothing. Simply connect to the hunt with the connection code provided to you by your hunt leader. 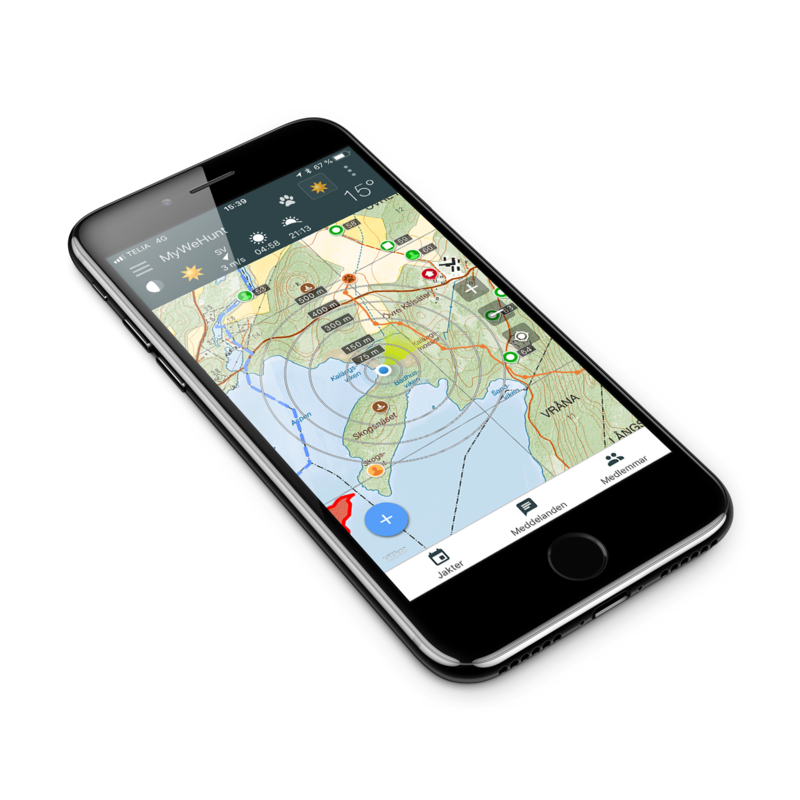 To hunt with WeHunt, you need to create a hunting ground. Select Add hunting team/area in the main menu on the left-hand side of the app. Start by choosing a name for your hunting ground. If you would like to, you can mark the boundaries of your hunting ground. These boundaries can be changed via the app or on the website if needed at a later date. Create a join code for the hunting ground to enable the other members of the hunting party to connect simply and easily. 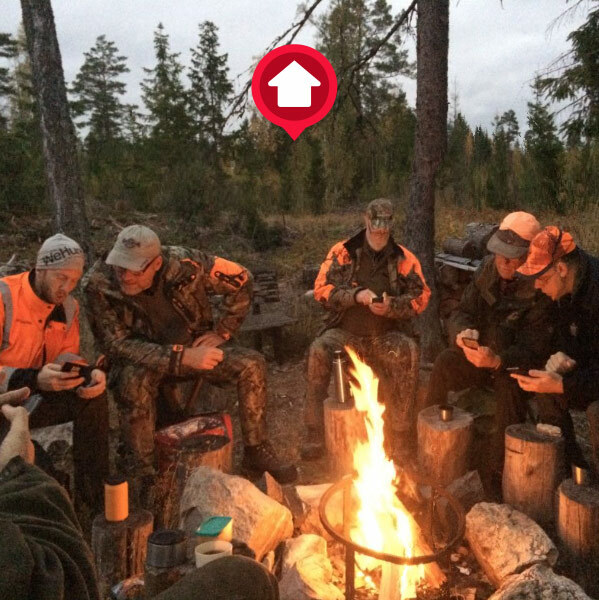 After you have created your hunting area, it is time to put down your first map pins. Press the blue button at the left of the map and select Map pin. Drag the crosshairs on the map to the position where you would like to place the map pin. Select the type of map pin you require. 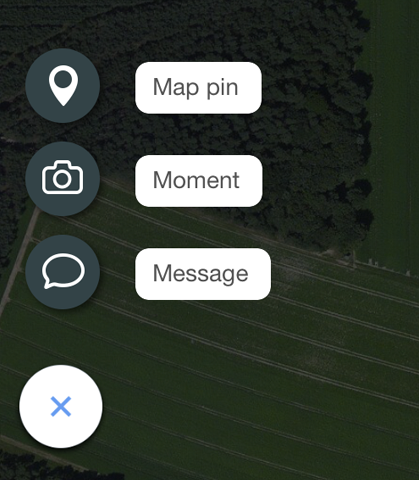 If you like, you are able to name your map pin, as well as adding an image and comment. If several people will regularly hunt on the grounds, so you can easily add them to your hunting party. Create a join code for your hunting ground and distribute it to those who will join the hunting party. Each hunter enters the code under the menu option ‘Enter join code’ in the app.